New Zealand's long awaited anti-money laundering laws are now in place, almost four years after Parliament passed the Anti-Money Laundering and Countering Financing of Terrorism Act. Passed by Parliament in October 2009, the Act's aims are to detect and deter money laundering and the financing of terrorism, maintain and enhance New Zealand’s international reputation by adopting, where appropriate in the New Zealand context, recommendations issued by the Financial Action Task Force, an inter-governmental body established by the Group of Seven (G7), and to contribute to public confidence in the financial system. The Act took effect from Sunday, - June 30. A paper prepared for Commerce Minister Craig Foss by the Ministry of Business, Innovation & Employment last year entitled Overview of organised crime and the misuse of corporate structures put a $1.5 billion estimate on annual money laundering in New Zealand, excluding laundered funds relating to tax evasion. The Reserve Bank will oversee compliance with the Act by banks, life insurers and non-bank deposit takers such as finance companies, building societies and credit unions. The Financial Markets Authority (FMA) is tasked with overseeing the compliance by issuers of securities, trustee companies, futures dealers, collective investment schemes, brokers, and financial advisers. And the Department of Internal Affairs will oversee compliance by casinos, non-deposit taking lenders, money changers, and any other financial institutions not supervised by the Reserve Bank or FMA. The New Zealand Bankers' Association (NZBA) says all banks now have additional obligations to check customer identity and, in some cases, account activity. Notably, family trusts are expected to come under greater scrutiny. “It will mainly affect people when they open bank accounts, or if they want someone else to have signing authority on their account," NZBA CEO Kirk Hope said. Meanwhile, Banking Ombudsman Debroah Battell says her office has published a new guide on the changes to information banks are required to seek from customers. “Banks have been gearing up to be ready for the law change and we have already received a small number of enquiries and complaints from people who have noticed a change in information processing, particularly around identification and some overseas fund transfers," Battell said. “Our guide explains why banks have to be more stringent about customer identification and what people may now need to provide to satisfy new requirements. People with concerns should discuss them with their banking service provider in the first instance. The Banking Ombudsman Scheme can consider complaints a customer and its bank have been unable to resolve." Below is a Q&A supplied by the NZBA, you can read all our stories on money laundering here. What is money laundering and terrorism financing? A number of serious crimes drive money laundering activity around the world. These include drug trafficking, fraud, robbery, illegal prostitution and gambling, arms trafficking, bribery and corruption. 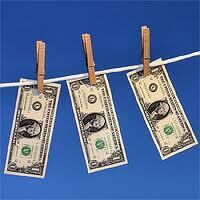 Money laundering is the process of disguising the illegal origin of criminal profits. Criminals use a range of methods and levels of sophistication to make money obtained from their criminal activities appear legitimate. Terrorist groups also move funds to disguise their source, purpose and destination. Terrorism financing includes funding terrorist acts and organisations. What does the new law do? · Report certain transactions and suspicious activities. What are the enhanced identification requirements for customers opening a bank account? The law requires a greater level of customer due diligence from banks. When opening a bank account you’ll now need to provide better forms of ID. Previously a driver’s licence might have been enough. There are three combinations of ID you can provide, plus proof of where you live such as a telephone or power bill. · New Zealand refugee travel document. · Full birth certificate issued by a foreign government. · A valid and current international driving permit. · A statement issued to you by a New Zealand Government agency within the previous 12 months (like an IRD statement). How will the new law affect customers making cash deposits? When someone makes cash deposits over the counter of $10,000 or more, banks are required to confirm the person’s identity. Where a bank has any suspicions about the customer receiving the deposit, the nature of the deposit, or account activity, banks will need to get more information, including the source of the funds. That’s likely to mean asking some questions about where the money came from, what it’s for, and what the person’s relationship with the account holder is. How will international money transfers be affected? When a customer is sending more than $1000 overseas, their bank needs to collect detailed information about the customer sending the money, and at least the name and account number (or a unique transaction reference) for the recipient. When a customer is receiving more than $1000 from overseas, their bank needs to be satisfied that it has enough information about who has sent the money. In the case of money transfers from anti-money laundering compliant countries, that information should be attached to the transfer. Where this information is not attached to the transfer, the bank must satisfy itself the transfer is legitimate. The bank also needs to be sure of the identity of the customer before releasing the money to them. (d) any information prescribed by regulations. Under the regulations referred to in (d), the government also requires banks to get the name and account number (or a unique transaction reference) for the recipient. What’s the cost to New Zealand banks of complying with the new law? · developing and providing staff education and customer information. This cost does not include the ongoing costs of maintaining these new systems and dedicated teams. Ongoing costs per annum are estimated to be 10 per cent of the implementation costs. Where can customers get more information? Banks are able to answer questions about how the new law affects their customers. Slow to Act. Slow to Learn. Spot the two big missing ones. The Reserve Bank will oversee compliance with the Act by banks, life insurers and non-bank deposit takers such as finance companies, building societies and credit unions. The Financial Markets Authority (FMA) is tasked with overseeing the compliance by issuers of securities, trustee companies, futures dealers, collective investment schemes, brokers, and financial advisers. The Department of Internal Affairs will oversee compliance by casinos, non-deposit taking lenders, money changers, and any other financial institutions not supervised by the Reserve Bank or FMA.